← Ketubah, Shakira, and Gut Shabbos! Our Ketubot Party Hard. Just Like Your Reception. 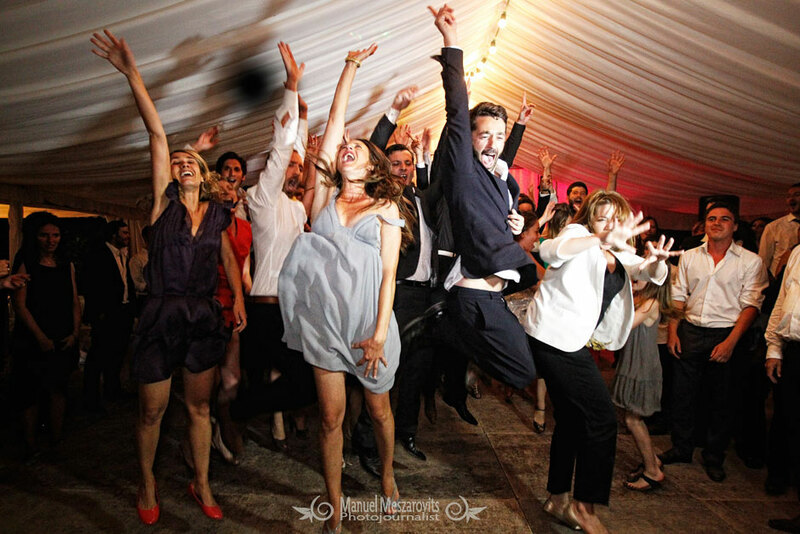 There are few things we like better than really exciting, rollicking, make-you-dance-like-its your-Bar-Mitzvah-reception wedding parties… and that’s even before the bar opens. Sure, any one can party. But not everyone has the opportunity to party when surrounded by all of their loved ones, celebrating the most special day of their lives. Our Ketubot Part Hard. Sometimes in Tents. As part of our inspiration to discover the types of Ketubot that couples want for their awesome weddings, I like to check out wedding photography and blogs, and then report back to our team design meetings. The more we know about modern couples, the more we know about what they think is awesome! For instance, I never thought I’d know so much about the prevalence of translucent wedding tents. Or that deep purple is the go-to color for winter weddings. Hey, you live and you learn, right? 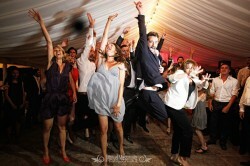 Of course, more than learning the nuts-and-bolts of the modern wedding is the opportunity to stumble upon inspiring picture of people having the time of their life at a wedding. Not just having fun, sipping on champagne, and talking to Safta. But shoes-off, party like its 1999 fun! The pictures like this one by Mesravotit’s Photography elicit all the emotions weddings should! If a wedding can elicit that much emotion, Team Ketubah asks: why cant a Ketubah?! In the Jewish tradition, Ketubahs have always been accompanied by traditional parties—loads of dancing, klezmer, and nosh! Maybe your great-grandmother once told you about her wedding in the shtetl days? Those people knew how to party! This Is Not A Ketubah wants to preserve these values with a few modern twists. Weddings should be about pure joy and bliss, and your Ketubah should be a way to remember them forever! From the warm colors of our latest Rothko to the otherworldliness of our brand-new gorgeous Chagall, to our whimsical Scottish Terrier Ketubah… we design our Ketubot to make the most of your simcha! So no matter who you’re getting hitched to, we hope your wedding is as awesome as the one above—and invite Team Ketubah along! Thanks to Manuel Meszarovits Blog for the awesome photography.